According to the Flat Earth Society, the Bishop Experiment demonstrates that it is possible to see Lighthouse Beach from Lovers Point and vice versa on a very clear and chilly day. IF the earth is a globe, and is 24,900 English statute miles in circumference, the surface of all standing water must have a certain degree of convexity--every part must be an arc of a circle. From the summit of any such arc there will exist a curvature or declination of 8 inches over the first statute mile. Over two miles the fall will be 32 inches; by the end of the third mile, 72 inches, or 6 feet, as shown in this chart. Atmospheric refraction causing an object below the horizon to be visible. however the above experiment already takes into the account atmospheric refraction. The complete video as taken from Lover's Point, Pacific Grove, CA. to Sand City, CA. Distance is 4.07 miles and should show an Earth curvature of 10 feet. With a camera at 30'' and 3 foot waves, the laser is still seen at below 6'' from 4 miles away. Here is another laser test over 7.5-8 mile distance on a frozen lake. 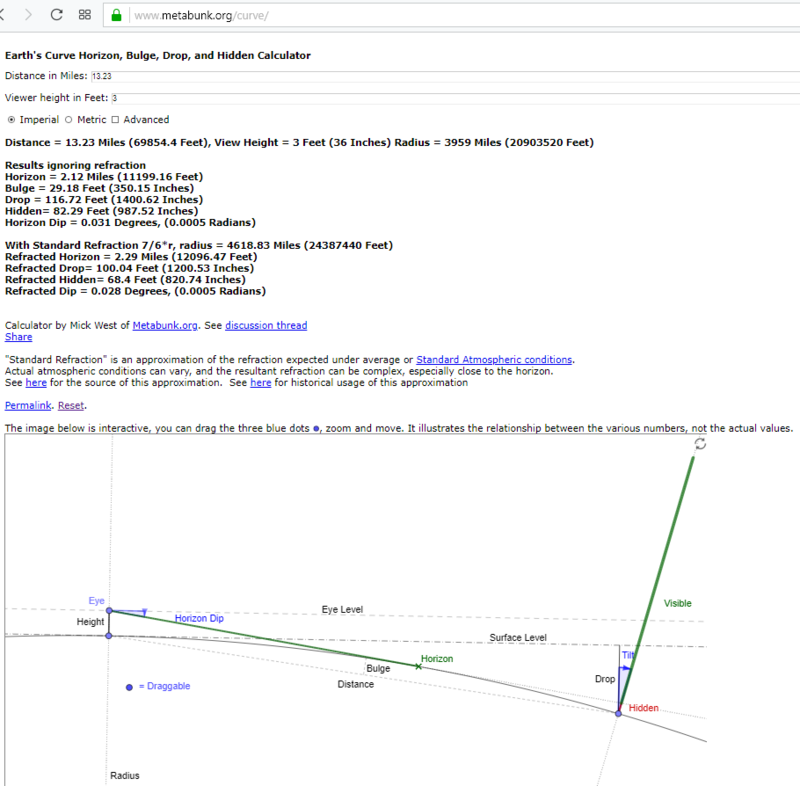 And here is another mirror test, shore to shore, over a distance of 13.23 miles, where, according to the Earth's Curve calculator at metabunk.org, the destination point should not be visible, even after taking into account a standard atmospheric refraction. 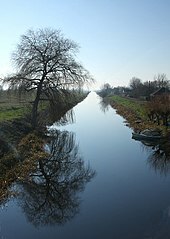 Based on the above experiments, should the surface of all standing water have a certain degree of convexity? 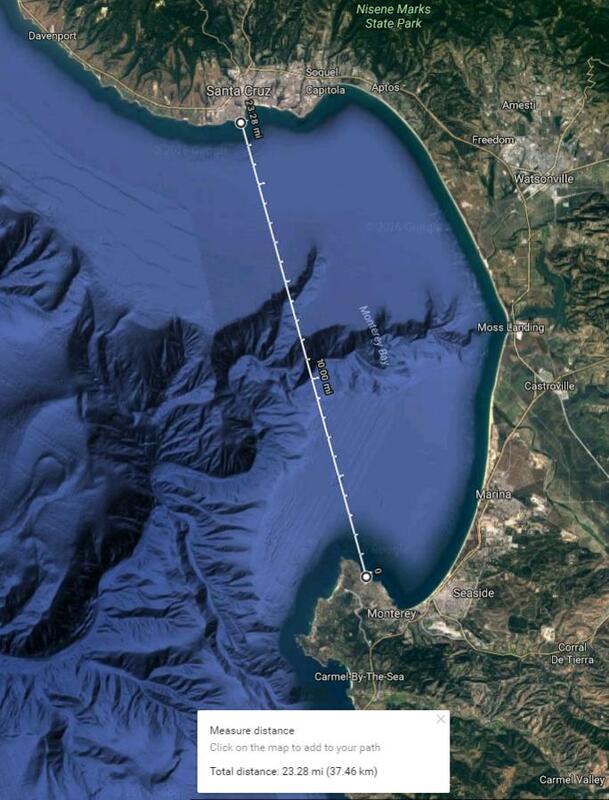 If so, why is the point below the horizon still visible over the distance of 13-23 miles? The calculations leave out important factors as to why you can still see things lower than 300 feet. It's a well known, classic experiment done many times that is in no way shape or form "theoretical"
If light traveling through the earths atmosphere actually moved in a perfectly straight line then you would be unable to see things because of the bulge of the earth. It's a result of atmospheric optics that allow us to see objects that would otherwise be over the horizon, there is a curve but our line of sight gets curved too. 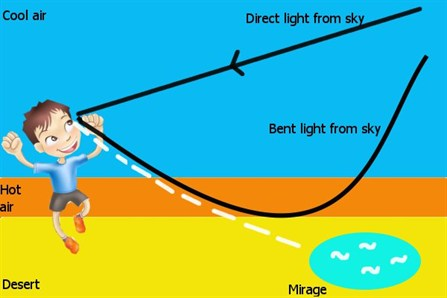 when you have a hot surface the light is refracted from above so from your point of view you see a blue mirage on the ground. That works the other way round over a cold surface. Hence why the author specifically mentions looking on a chilly day. 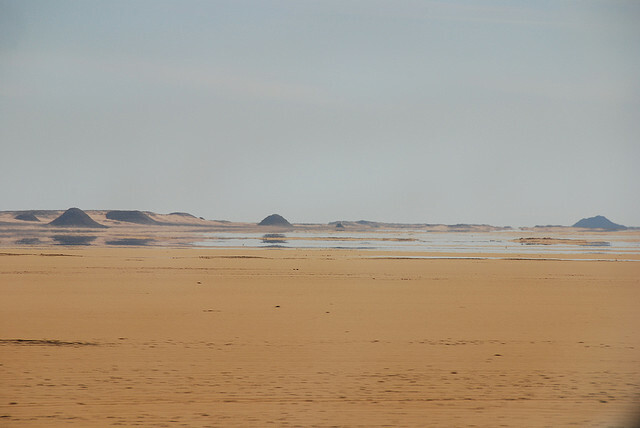 As explained in the linked wiki article on the Bedford Level experiment, placing the camera higher reduces the effects of atmospheric refraction due to the cold water and allows you to see the "hump" of the curve of the earth. Not the answer you're looking for? Browse other questions tagged geography earth .